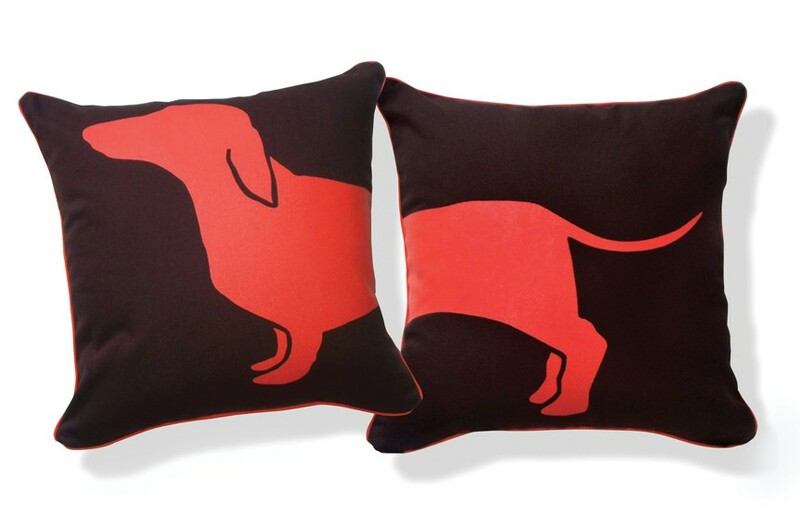 Is it just me, or do you also see Dachsund-themed stuff everywhere? What about those of us who have different breeds?!? I get it; wiener dog owners are crazy in love. 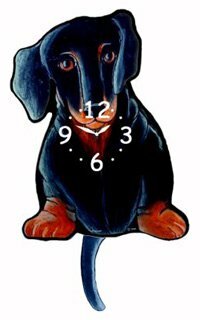 And aesthetically, Doxies are hilarious and have a great, recognizable form for tchachkes. Watching the AKC Dog Show on TV today reminded me of it. The show featured three Dachsunds--short, long, and wire-haired. 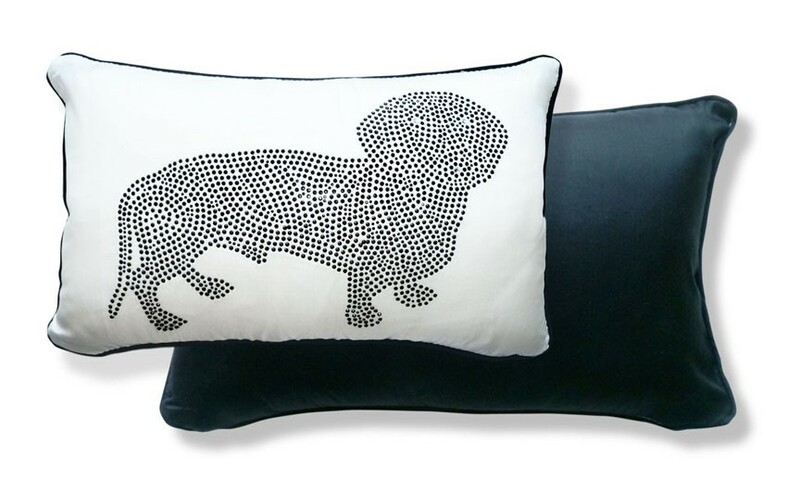 Doxie lovers probably went nuts. They are cute, after all. 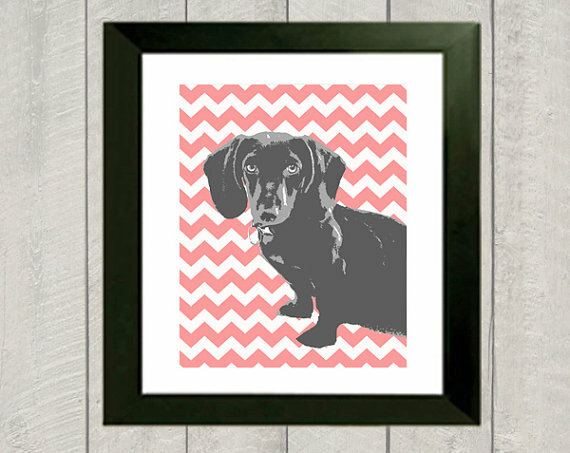 Though I'm partial to King Charles Cavalier Spaniels and Poodles, they aren't represented too often in mod decor. 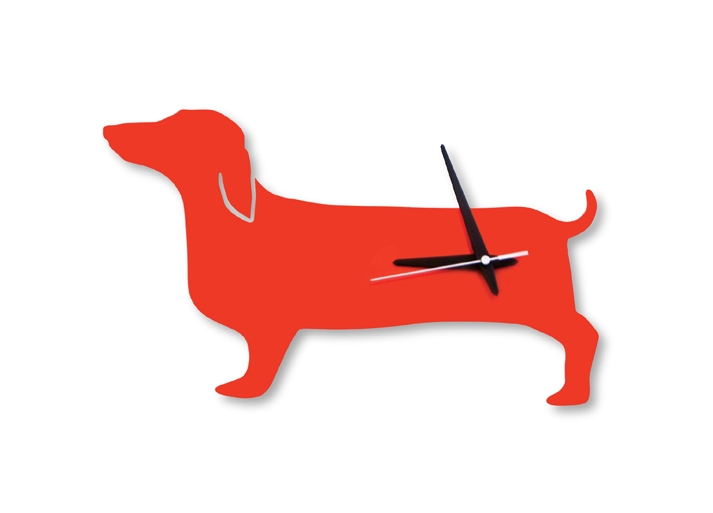 So I shall feature a handful of Doxie accessories. Happy Hot Dog Lamp, $349. Orange and Brown set of two, $49.95. 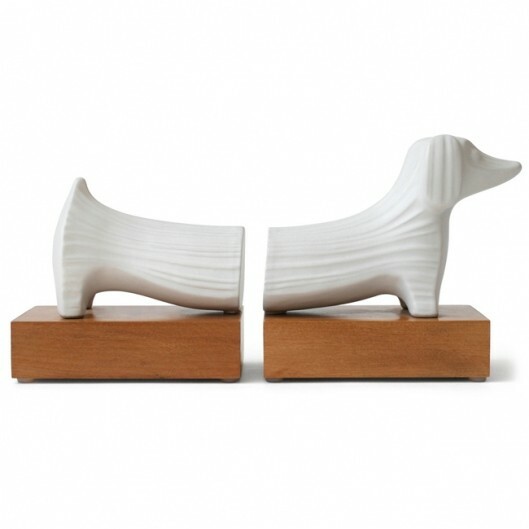 Many designers would scoff at the idea of having such kitschy items adorn a home. If it isn't puffy paint, grandma-style crap, then it's ok! Aim for mod. 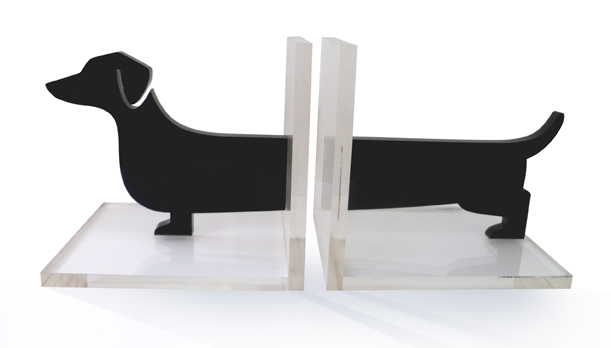 Ultimately, adorn your home with things that make you happy! This would be great in a kid's room. $54.95. Set of six napkin rings, $35.00. Adorable lamps, also great for a kids room, or even by the front door. $79 from Design Public.